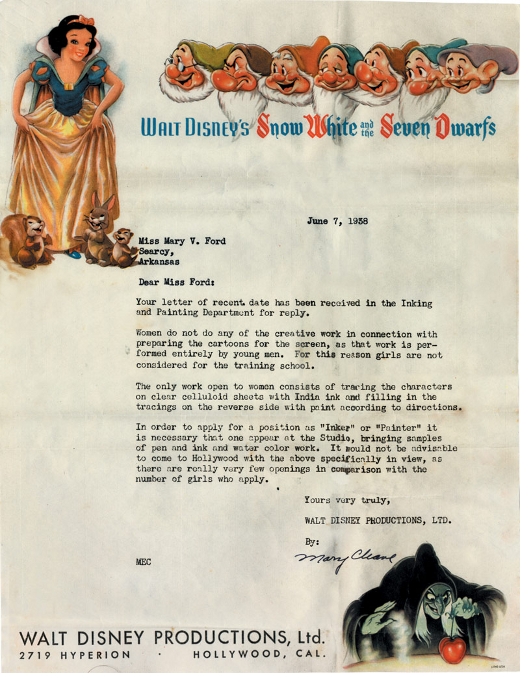 Back in 1938, women who applied for animation jobs at Disney were destined to receive a visually attractive but ultimately depressing rejection letter like the one below — a missive in which it was advised to instead shoot for a lower star in the tracing department; a place where, it seems, ladies could be trusted with ink. 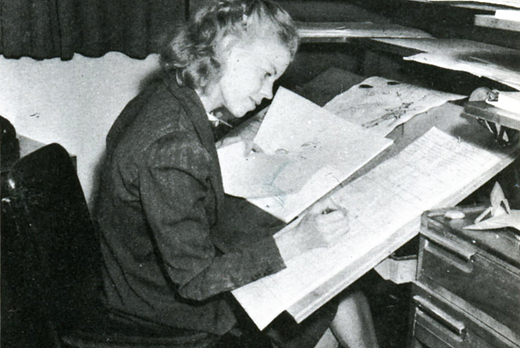 Interestingly, in 1942, four years after this particular letter was sent, Retta Scott (pictured above) became the first woman to be credited as an animator at Disney, for her work on Bambi. In order to apply for a position as "Inker" or "Painter" it is necessary that one appear at the Studio, bringing samples of pen and ink and water color work. It would not be advisable to come to Hollywood with the above specifically in view, as there are really very few openings in comparison with the number of girls who apply.